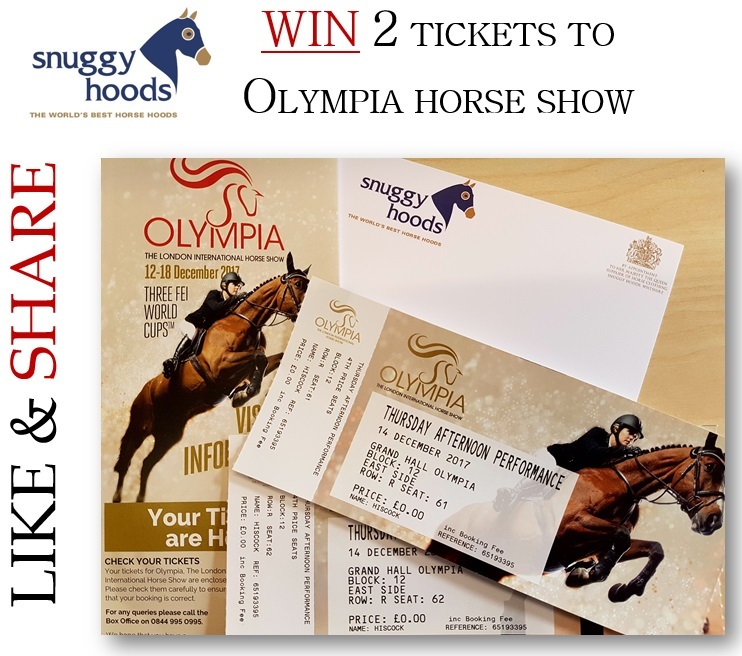 Home / Latest News Latest News / Win 2 x Tickets to Olympia Horse Show !!!! Win 2 x Tickets to Olympia Horse Show !!!! Win 2 x Tickets to Olympia Horse Show !!!! TO ENTER - Click here and head to our Snuggy Hoods Facebook Page!! The winner shall be announced and tickets posted on Friday 8th December. Good Luck!